Quantitative Structure-Activity Relationships (QSAR)§is a technique used to establish correlations between§chemical structures and a given target property, such§as the affinity at a given receptor. QSAR represents§an important tool in drug design, allowing early§prediction of the biological activity of newly§designed molecules. 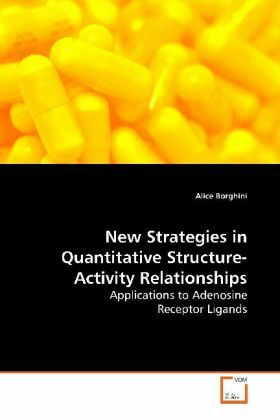 §In this work, QSAR methods were applied to ligands§for the adenosine receptors, which possess many§therapeutic potentials. Two different approaches were§attempted: on one hand the rigorous observation of§QSAR guidelines provided by the Organisation for§Economic Co-operation and Development (OECD) in each§step of model development, on the other hand an§innovative and more dynamic method. In both cases,§attention was focused on the validation of the§obtained models, especially concerning their§goodness-of-fit, robustness, predictive ability and§applicability domain.§Due to the wide range of possible applications of§QSAR methods, this book is addressed not only to QSAR§modelers working in the medicinal chemistry field,§but to all modelers who desire to predict biological,§as well as toxicological, physico-chemical and many§other properties.